Some of the strongest advocates for high-stakes testing, Texas business leaders now want to cut the number of exams students must pass to finish high school, the latest attempt to ease tougher graduation requirements that went into effect last year. The number of high-stakes tests would fall from 15 to as few as six under the business groups' plan, and school districts would not have to count the exam scores as part of students' course grades. Bill Hammond, who leads the Texas Association of Business, on Wednesday acknowledged that the law mandating the increased testing "quite honestly overdid it a little bit." His comments echo concerns that educators and parents have been taking to state lawmakers in recent months. Scores on the first round of tests last spring showed thousands of students were below grade level and were at risk of not graduating. The business groups' plan likely will serve as a conversation starter for state lawmakers when they reconvene in January. Education Commissioner Michael Williams, at the urging at Gov. Rick Perry, already has suspended the law requiring exam scores to count in students' grades. "I'm sure there will be a lot of debate on all these topics before any decision is reached," said Debbie Ratcliffe, Texas Education Agency spokeswoman. Texas law now requires high school students to earn a cumulative passing score on 11 to 15 end-of-course exams in reading, writing, math, science and social studies. The state's testing requirements are among the strictest, if not the strictest, in the nation, according to the Education Commission of the States, a Denver nonprofit that tracks policies. "I understand that kids have to be evaluated; however, the many high-stakes tests that our children have to take, it's a little bit overwhelming," said Vincent Sanders, a member of the advocacy group Community Voices for Public Education who has two children in Houston schools. The business groups want to eliminate the world history and world geography exams and require students to pass no more than 10 exams to graduate. In some cases, students would have to pass as few as six. "Some can view it (as a retreat), but I think it's a modification that gets us where we need to be," Hammond said, adding that the plan still holds schools accountable for graduating students ready for post-secondary education. Hammond was joined by leaders of the Texas Institute for Education Reform and the Texas Business Leadership Council at a news conference in Austin. Texas' prior testing system mandated 10 exams in high school but students had to pass only four to graduate. H.D. Chambers, superintendent of the Alief district, said he would like to see the high-stakes exams reduced to between three and five. "I'm glad they're moving closer to what the public education community feels is reasonable and meaningful for students," Chambers said, "but I don't believe we're there yet." Houston's superintendent, Terry Grier, said he agreed with cutting the number of mandatory state tests but said he fears Texas may lower the standards too much. "Maybe we've taken three or four steps too far in testing, but it doesn't mean we need to stop testing," said Grier. The business groups also proposed creating different diploma options, which would allow students to get "endorsements" in areas such as fine arts, science and industry. Some options would require less testing. Grier said he worried some students would be pushed unfairly toward the easier diploma. "The bigotry of low expectations bothers me," Grier said. "What children are we going to end up having a vocational diploma, and who's going to decide that?" Access to AP courses and subsequent exams are a massive equity issue, particularly since taking these courses correlate to going to college. JS: I just read about a study in Time magazine that found that 80 percent of U.S. adults say that a college education is not worth the cost. Does that worry you? RK: What worries me is that rhetoric. Eighty percent of people in that survey may have said that a college degree isn’t worth it, but tell me if you can find even 10 percent of parents telling their children that college is not for them. For people to think they can somehow succeed and do well without a certain amount of competency, whether it comes from a college degree or from some certification—I think we are misleading a whole generation. DALLAS — The Preston Hollow neighborhood has been home to many of Texas’ rich and powerful — George and Laura Bush, Mark Cuban, T. Boone Pickens, Ross Perot. So it is hardly surprising that a recent political fund-raiser was held there on the back terrace of a 20,000-square-foot home overlooking lush gardens with life-size bronze statues of the host’s daughters. The guest of honor was Gov. Rick Perry, but the man behind the event was not one of the enclave’s boldface names. He was a tax consultant named G. Brint Ryan. Mr. Ryan’s specialty is helping clients like ExxonMobil and Neiman Marcus secure state and local tax breaks and other business incentives. It is a good line of work in Texas. Yet the raw numbers mask a more complicated reality behind the flood of incentives, the examination shows, and raise questions about who benefits more, the businesses or the people of Texas. Along with the huge job growth, the state has the third-highest proportion of hourly jobs paying at or below minimum wage. And despite its low level of unemployment, Texas has the 11th-highest poverty rate among states. “While economic development is the mantra of most officials, there’s a question of when does economic development end and corporate welfare begin,” said Dale Craymer, the president of the Texas Taxpayers and Research Association, a group supported by business that favors incentives programs. In a state that markets itself as “wide open for business,” the lines are often blurred between decision makers and beneficiaries, according to interviews with dozens of state and local officials and corporate representatives. The government in many instances is relying on businesses and consultants like Mr. Ryan for suggestions on what incentives to grant and which companies should receive them, as well as on other factors that directly affect public spending and budgets, the interviews show. Granting corporate incentives has become standard operating procedure for state and local governments across the country. The Times investigation found that the governments collectively give incentives worth at least $80 billion a year. To help balance its budget last year, Texas cut public education spending by $5.4 billion — a significant decrease considering that it already ranked 11th from the bottom among all states in per-pupil financing, according to recent data from the Census Bureau. Yet highly profitable companies like Dow Chemical and Texas Instruments continue to enjoy hefty discounts on their school tax bills through one of the state’s economic development programs. In the Manor school district, which comprises the town and part of Austin, Samsung has been awarded more than $231 million in incentives from state and local officials. But the recent budget cuts have left the district with crowded classes and fewer programs. Mr. Perry, who took office at the end of 2000, has been a longtime proponent of lowering taxes. He said in an interview that companies could put the money to better use than the government and would spend it in ways that would create jobs and help Texans. But relying on companies does not always turn out well. When Amazon set up a distribution center outside Dallas, it received incentives from the state. Six years later, when the company got into a tax dispute with the state, it shut the warehouse, which employed as many as 2,000 people during its peak season. Nationwide, a whole industry of consultants has grown up around state efforts to lure companies with incentives. Companies like Ernst & Young, Deloitte and Automatic Data Processing, a payroll company, have divisions dedicated to helping companies search for the best deals. Mr. Ryan’s Dallas-based firm, Ryan LLC, operates in 27 states and seven countries and represents numerous Fortune 500 companies. Texas alone is a big source of business for Mr. Ryan, who has won tax refunds of more than $20 million each for ExxonMobil and Raytheon. This year, he sought similar amounts for Verizon, Freescale Semiconductor and several other companies, according to state documents obtained through an open records request. At the same time, Mr. Ryan has become one of the state’s most generous political donors. He co-founded a political action committee last year that supported Mr. Perry’s bid for the Republican presidential nomination and donated $250,000. Even as business leaders press local governments to give out more incentives, they warn against requiring too much in return. In Travis County, which includes Austin, commissioners recently passed new rules for companies that receive tax abatements. One requires paying employees $11 an hour, an amount the county considers to be a living wage. When Mr. Perry became governor in 2000, Texas was not a major player in the incentives game. He quickly got his first taste during a bidding war among states when Boeing was hunting for a new location for its headquarters. Mr. Perry got the money flowing through two new cash funds created to recruit businesses. One, the Texas Enterprise Fund, awarded more than $410 million over eight years, according to the governor’s office, and the recipients said they would create more than 54,000 jobs. The fund requires companies that do not meet their job targets to return incentive money. The state has also embraced a popular program that establishes enterprise zones where companies can receive refunds on some taxes they pay in exchange for moving there. The exemption has added up to big money for retailers like Walmart. Not coincidentally, the company has opened stores in similar enterprise zones across the country. Walmart owed some of its other tax savings to Mr. Ryan, who counted the retailer among his earliest clients in the 1990s. Once an accounting firm, Ryan LLC transformed itself in recent years into a powerhouse focused on corporate tax breaks. Mr. Ryan is a familiar presence at the state comptroller’s office in Austin, which must sign off on many tax breaks. He is known there for his laser focus and forceful negotiating skills. “It’s gloves-off, full-frontal assault,” said a former official, who requested anonymity because of state confidentiality rules. Mr. Ryan agrees that he is aggressive, saying that “guys like me are all that stand between the government fleecing taxpayers.” He has at times filed lawsuits over tax rules he does not like, including one against the head of the Internal Revenue Service and Treasury Secretary Timothy F. Geithner. In one of his most lucrative deals, Mr. Ryan in 2006 helped Texas Instruments win tens of millions of dollars in tax refunds, according to the comptroller’s office. Ryan LLC often gets to keep around 30 percent of its clients’ awards, according to former employees. That same year, Mr. Ryan was a top donor to the campaign of the comptroller at the time, Carole Keeton Strayhorn, personally giving $250,000, according to campaign finance records. Over the course of Ms. Strayhorn’s tenure, Mr. Ryan, his employees and his company’s PAC would donate nearly $3 million, including when the comptroller ran for governor, the records show. He and his employees have made campaign contributions to the current comptroller, Susan Combs, totaling more than $600,000. Ms. Strayhorn declined to comment, and a representative for Ms. Combs said the donations did not affect her decisions. Since 2000, Mr. Ryan and his wife, Amanda, have contributed over $4 million to a variety of state officials and political causes, including the governor. Mr. Perry declined to comment on Mr. Ryan, but at a local event in 2010 he called him “the type of visionary that every community wants to have,” according to The Abilene Reporter-News. Mr. Ryan said that he gave to candidates in many states and that his donations brought extra scrutiny, not favorable treatment. Mr. Ryan set his own sights on public office in 2009, running for the Dallas City Council on a platform that pushed cutting public spending. Simultaneously, Mr. Ryan was pursuing state aid for his own company, applying for an enterprise zone designation for his business. Mr. Ryan lost the race but won the incentive. “In these tough economic times, our city officials must use every tool available to ensure job growth and expand the tax base,” he said of the award in a news release. Mr. Perry has made corporate recruitment a hallmark of his administration. The governor frequently makes trips to cities like Chicago, New York and San Francisco to lure prospective businesses. During a visit to San Diego in June, he proudly told local officials that about a third of the companies moving to Texas were from California, said Ruben Barrales, the chief executive of the San Diego Regional Chamber of Commerce. A nonprofit group called TexasOne recommends potential businesses to the governor and then pays for his travel and other expenses during the recruiting trips. The group is financed by large corporations like Shell and AT&T, as well as by consultants like Ryan LLC. The governor’s office allocates the awards, which state records show amount to millions of dollars each year. In the enterprise zone program, 82 of the 222 awards granted from March 2008 to June 2012 went to companies represented by Mr. Ryan’s firm, according to public records provided by the governor’s office. The list included General Motors, Tyson Foods and the German chemical giant BASF. Until recently, the cash incentives were overseen in Mr. Perry’s office by a top aide, Roberto De Hoyos. In September, Mr. De Hoyos took a new job — at Ryan LLC. Lines of new students show up each August at the public schools in Manor. The town is mostly rural, with fields of hay and cattle in every direction. Some of the students’ families came to double up with relatives or friends, others were pushed outward by Austin’s gentrification. Downtown Manor consists of a couple of blocks lined with spots like Ramos Cocina and a smoke-filled convenience store. There are few doctors and no real place to buy groceries. About six miles away, a fabrication plant for the South Korean company Samsung looms over one of Manor’s elementary schools, a symbol of corporate interests juxtaposed with a pillar of public spending. The complex, which makes memory chips for smartphones and other products, includes some of the largest buildings in the area: one covers 1.6 million square feet, or about nine football fields. Since Mr. Perry took office, companies have seen a drop in their school property taxes because of a special incentives program, as well as an across-the-board cut in the school tax rate. The recession has made the squeeze all the more difficult for schools. In the Manor district, spending shrank by about $540 per student this year, according to the Equity Center, an advocacy group for Texas schools. The cuts came even as school enrollment has nearly tripled since 2000. The cracks in financing were on display this summer, as families filled a school cafeteria to register for a prekindergarten program with shortened days. For parents like Tommy and Melissa Sifuentes, the cutback means they have to leave work early or hire a baby sitter. “It’s harder,” said Ms. Sifuentes, who is still grateful that her son will learn socialization skills at school. About 80 percent of Manor’s students are low-income, according to the E3 Alliance, a nonprofit group in Austin that focuses on education. For about a third of the 8,000 students, English is a second language. In 2005, Manor’s school board gave Samsung eight years of tax abatements worth $112 million as part of the company’s incentives package for its fabrication plant. Under the special incentives program, known as Chapter 313, school boards approve tax abatements for companies. The state then reimburses the district for the amounts they give up. In many districts, the awards were granted after little review. Robert Schneider, a member of Austin’s school board, said the district was nonchalant when it gave an abatement to Hewlett-Packard in 2006. School boards statewide have approved abatements worth at least $1.9 billion through the program, according to the comptroller’s office. Although the districts are not paying for the abatements themselves, budget experts point out that the reimbursements come from the state’s general fund, which like most state treasuries is running low. In Texas, tax revenues for schools took a direct hit when Mr. Perry created a commission in 2005 to evaluate the state’s tax system. The State Supreme Court was questioning districts’ property tax rates and warned of a school shutdown if legislators did not intervene. The tax rates had been criticized for years by businesses and residents, but some districts countered that they could not afford to cut them without additional state financing. Mr. Perry turned to John Sharp, a Democrat and former comptroller, to lead the commission. At the time, Mr. Sharp worked for Ryan LLC. The commission called for districts to cut school property taxes by around one-third. To make up for some of the lost revenue, it recommended adding a business tax, as well as increasing some sales taxes. “I did what I thought was the best for the state of Texas,” said Mr. Sharp, adding that his position at Ryan LLC did not affect his decisions. “We saved the state of Texas from complete collapse of the school system, and I’m very proud of that.” Mr. Sharp left Ryan last year to become the chancellor of Texas A&M University. In 2006, the Legislature largely adopted the commission’s proposals and required the state to give districts billions of dollars to allow time for the business tax to make up the difference. Some six years later, things have not worked out as planned. The business tax has not yielded anywhere near what Mr. Sharp’s panel projected, and the state has cut its aid to the districts by $5.4 billion. A spokeswoman for Mr. Perry noted that one of the state’s cash incentive funds was also cut back. Among other things, the cuts have meant overcrowding across Texas: the number of classrooms over the state’s student limit nearly quadrupled last year. Even members of the Austin Technology Council, which includes Samsung, identified an educated work force as among their biggest concerns for the area, according to a recent survey. Of the $231 million in incentives Samsung received, it donated $1 million back to Manor for a scholarship fund. The company also mentors district students. Catherine Morse, Samsung Austin’s general counsel, said the abatements from the Manor school board were crucial because of the company’s expensive machinery. Samsung also received $10.8 million from Mr. Perry’s cash fund, but Ms. Morse said the money had not swung the decision. “It was more like it showed respect,” she said. Ms. Morse noted that Samsung was still the county’s largest taxpayer and that locating the facility in Texas had been a tough sell inside the company. “It was very unpopular to take jobs out of South Korea,” she said. Samsung said it had created 2,500 jobs on its payroll and 2,000 more for contract employees. Ms. Morse said that 495 of those on its payroll lived in the Manor school district. The company is currently seeking additional incentives for a $4 billion retooling of its facility, though it is not expected to add many jobs. Tarik Carlton gathered with other workers in February 2011 to hear the bad news: Amazon was shutting its distribution center in Irving, where he loaded trucks for $12.75 an hour. Business had been strong, but the online retailer did not want to pay a $269 million tax bill from the state comptroller. A standoff with the state ensued, and Amazon laid off the workers. “They didn’t have our interests in heart, truth be told,” Mr. Carlton said. Amazon opened the distribution facility in 2005 in Irving, near Dallas-Fort Worth International Airport, and local officials awarded the company tax breaks on its inventory. Positions at the warehouse included product pickers, dock crews and truck loaders. The employees were typically on the young side, and some had served in the military. The warehouse churned through workers because many could not meet the quota of products they were supposed to move each day, according to Frankie Lloyd, who helped Amazon find temporary workers to fill many of the jobs. The distribution business grew as manufacturing moved overseas and online shopping boomed. It is big in the Dallas area because two main train lines run here from Long Beach, Calif., where goods arrive from Asia. The work is highly physical. One Amazon worker wore a step counter that logged five miles during one shift, according to Mr. Carlton, who only recently found a new job. He was among 12 former Amazon workers, including two warehouse managers, who agreed to be interviewed. There was no air-conditioning in the warehouse, and Mr. Carlton and others said the temperature could reach 115 degrees. They said it was difficult to take breaks given the production quotas. The pay was typically $11 to $15 an hour, Ms. Lloyd said. Amazon gave out small shares of stock and some bonuses, but the amounts were minimal, she said. Amazon said it had been working to upgrade its warehouses, which it calls fulfillment centers. The company has installed air-conditioning in all its centers over the past year, said Dave Clark, the vice president for global customer fulfillment. Mr. Carlton said he had no idea the company was being partly subsidized. “If you give them money, I think more should be expected,” he said, adding that Amazon should have been required to hire more people to handle the heavy workload. John Bonnot, the director of business recruitment for the Irving Chamber of Commerce, said the city did not impose wage or benefit requirements on companies that received incentives. Irving had required that Amazon create only 10 jobs to receive the tax break. Mr. Bonnot said Amazon “would have nothing but praise” for the original assistance from the state and the city, which outsources its economic development to the local chamber. Things began to slide downhill in late 2010 when the state comptroller, Ms. Combs, demanded that Amazon pay the $269 million sales tax bill. The retailer had never charged its Texas customers the tax, giving it an advantage over on-the-ground competitors. The company hired three powerful advocates with ties to the governor, according to state lobbyist disclosure records. One, Luis Saenz, had been the director of Mr. Perry’s political operation. Days after the warehouse closed, Mr. Perry said he disagreed with the comptroller’s decision to demand the taxes. As it was battling with the comptroller, Amazon began negotiating with the Legislature, which was debating whether online businesses should be required to charge sales tax. The company told lawmakers that it would create up to 6,000 jobs in exchange for delaying sales tax collections, similar to a compromise it had struck in states like South Carolina and Tennessee. The lawmaker with the most power in the decision was John Otto, a Republican member of the Texas House of Representatives. Like all Texas legislators, Mr. Otto’s government job is part time. He also works at Ryan LLC — a job that is not disclosed on his legislative Web site. Mr. Otto drafted legislation that said online retailers like Amazon would not have to charge sales tax as long as it did not have distribution facilities in Texas. By then, the company had already shut the Irving warehouse. Mr. Otto and Mr. Saenz declined to comment about the legislation. Amazon would not comment on its negotiations with Texas. In July, Amazon began collecting sales tax from customers in Texas after the comptroller agreed to release the company from most of its $269 million bill. The company has also promised to open new distribution facilities and hire 2,500 workers. Amazon will owe the state a $1 million penalty if it fails to deliver. The math on the new deal angers former Amazon workers, especially those who are still unemployed. For Texas to give up more than $250 million in tax revenues in exchange for 2,500 jobs amounts to about $100,000 per job. Most distribution workers are paid $20,000 to $30,000 a year. The rest benefits the company’s bottom line, which generally increases executive bonuses and shareholder returns. The deal on the sales tax did not require Amazon to reopen the Irving facility. That touched off the latest state competition to win over Amazon. Last month, the city of Schertz beat out neighboring San Antonio for one of Amazon’s warehouses. The company is currently in negotiations with Coppell, outside of Dallas, about an additional center. Like Schertz, Coppell has offered Amazon a deal to keep a part of the sales tax it collects there, among other incentives. If Amazon accepts, it will be located near Irving and many of its former workers. Sharon Sylvas, 47, had moved from Kansas seven years ago to help Amazon set up the Irving facility. She lives nearby in a one-bedroom apartment with her partner, daughter and two grandchildren. After Amazon closed, she was out of a job for over a year. With limited options, Ms. Sylvas took a temporary position in October at another company’s distribution center. It is a tougher job than the one at Amazon, and it pays less. For $11 an hour, Ms. Sylvas moves heavy inventory and other items. For the past few months, a commission created by the Texas Legislature has been taking a broad look at the state’s economic development efforts. It will report back in January with recommendations. Four members of the commission are specifically focused on evaluating the state’s cash grants and the school tax abatement programs. This means that companies in Texas have a lot at stake in the panel’s work. So does at least one of the commissioners: G. Brint Ryan. He was appointed to the commission by the state’s lieutenant governor, David Dewhurst, who has received more than $150,000 in campaign donations from Mr. Ryan. At a meeting in mid-September, the panel invited business representatives to testify. Among them was Ms. Morse, the general counsel at Samsung Austin, who urged the commission to continue the school property tax program that benefits her company in the Manor district. During Ms. Morse’s testimony, it went unmentioned that Samsung is a Ryan client. Ryan LLC had helped the company gain designation as an enterprise zone in 2010, enabling it to receive sales tax refunds from the state on many of its purchases, according to documents obtained by The Times under a public records request. Mr. Ryan said the commission had never asked him whom he represents. No representatives from Texas schools spoke at the hearing. But Mr. Ryan said in an interview that school financing and poverty could best be addressed by emphasizing economic activity. He noted his own humble beginnings. “Frankly, I never got one single government handout,” he said. Over the years, of course, Mr. Ryan has profited by helping many companies obtain checks from the government. In at least one instance, he was more eager to get the money than his client was. The client, a computer chip maker called Advanced Micro Devices, had hired Mr. Ryan’s firm to review its books. But when the firm found what it believed would be a way to save more than $30 million in taxes, the chip maker decided it was not worth pursuing. Ryan LLC responded by suing its client, saying AMD owed it to the firm to seek the money. Ryan LLC would have received a cut of the savings. AMD declined to comment on the case, which was settled last year. But in a deposition contained in the court filings, a representative of the chip maker described numerous e-mails and phone calls by Mr. Ryan, who was trying to persuade the company to file for the refunds. At one point, Mr. Ryan wrote to the chip maker’s chief financial officer. “At stake is tens of millions of dollars in tax recovery and future tax savings on an issue I have WON for other fabs in Texas,” he said, referring to fabrication facilities. Lisa Schwartz and Lauren D’Avolio contributed research. Worthwhile read going into the next session of the Texas State Legislature that begins this next January. Tuition is skyrocketing. Enrollments are exploding. And the street value of a college degree is up for debate. Don’t look now, but a pitched battle is under way over the future of higher education in Texas. Ground zero is UT and Texas A&M, where a powerful group of reformers backed by Rick Perry is trying to rethink the way universities work—over the screams and howls of the faculty and staff. Will they destroy the university in order to save it? Or will they actually save it? We all share in great sorrow and grief from last week’s horrific events in Newtown, CT. I would like to think that it was overwhelming sadness from the loss of life that led you to state on Friday that the reason behind the mass killings of first graders and their educators was we have “systematically removed God” from public schools. I would like to think profound sorrow and shock were the reason for your misguided remarks. Unfortunately, cynicism leads me to believe that you made such statements for political posturing or perhaps to keep up with the conservative radio shock jocks. Regardless of your motivation, I want to suggest that you visit your local public school before passing such judgment in the future. If you visited a neighborhood elementary school like Sandy Hook, or any public school for that matter, you would see that God’s presence and the teachings of Jesus Christ are well represented by the works of the people in those buildings. Now perhaps His presence isn’t seen in the way you want – there aren’t readings from the Bible (or any other religious texts for that matter) and the Ten Commandments aren’t posted in classrooms (nor are the Pillars of Islam, actually), but His presence and teachings are instead practiced, demonstrated, and felt. You see, Mr. Huckabee, if you visited the schools you quickly denounce for removing your symbols of God, you’d find that His work actually takes places there every day. For many students, that public school you deride is their only constant; their only refuge; their only normalcy. Like educators across the nation, my elementary school principal husband and his staff work daily with homeless children, hungry children, abused children, broken children. He and his staff feed their bodies, characters, minds, and souls. They do it every day. They do it for little pay and they do it for lousy benefits. They do it despite the disrespect they sometimes feel from parents and the public. They do it in the face of disdain from politicos that claim they’re fleecing taxpayer money and don’t contribute revenue to the economy. They do it even as they’re called “union thugs.” Educators are God’s workers – there’s no other reason to think a person would endure so much to receive so little. These educators, aided by school support staff and parent/community volunteers, are God-given, Mr. Huckabee. Through them God’s miracles happen every day. Through education, God’s children are provided a shot at a better life. In my state of Texas, 25% of children live in poverty (the statistics in your home state of Arkansas are similar). For some of these children, these educators are the only chance they have of breaking the poverty cycle. In those Godless government schools, they have a chance at a better tomorrow. The school is a place where they can not only explore their life’s dreams, but be provided the tools to achieve those dreams. It is the tireless men and women of the school systems that will give them those tools. And these educators wear many hats – not only do they educate and lead, they serve as role models, protectors, life coaches, and cheerleaders. They’re in loco parenti. They’re friends and counselors. Unfortunately, some in Connecticut even served as human shields – coming between bullets and six year olds. If serving children and the community in this way isn’t the work of a higher power, I don’t know what is. Perhaps your efforts would be better spent, Mr. Huckabee, not in trying to bring your particular brand of religion into schools or dictating how God should appear in a classroom, but instead supporting public schools and the work He does through them. Education budgets have been slashed nationwide. Our students learn in over-crowded classrooms with outdated technology. Our teachers are being pushed out of the profession by unrealistic accountability systems and the profit-driven thirst to change classrooms into testing factories. Our state legislatures are bowing down to special interests seeking to privatize our education systems – turning a noble profession and public commitment into little more than a profitable pick for a hedge fund manager. Through systematic defunding, the decline of critical thinking skills to make way for rote memorization to pass the next benchmark test, and the political prostitution of public education for profit, the war on education is clear and ongoing. God’s work through these schools and educators is under attack, but your concern is reciting scripture in the classroom. Really? Mr. Huckabee, why are you and other sanctimonious detractors more concerned that educators don’t lead children in prayer instead of sharing concern for the many challenges that schools and impoverished children face daily? Why are you saddened that children aren’t taught Biblical parables instead of uplifted by the miracles that occur in schools every day? If you don’t see God in the efforts and works of schools and educators, I’m afraid you’re not really looking. You see, Mr. Huckabee, schools don’t need to preach the Gospel or read the Bible every day to bring God into the classroom. He never left. (Image: Students in class via Shutterstock)Please support Truthout’s work by making a tax-deductible donation: click here to contribute. The tragic deaths of 26 people shot and killed at Sandy Hook Elementary School in Newtown, Conn., included 20 young children and six educators. Many more children might have been killed or injured had it not been for the brave and decisive actions of the teachers in the school. The mainstream media was quick to call them heroes, and there is little doubt that what they did under horrific circumstances reveals not only how important educators are in shielding children from imminent threat, but also how demanding their roles have become in preparing them to negotiate a world that is becoming more precarious, more dangerous - and infinitely more divisive. Teachers are one of the most important resources a nation has for providing the skills, values and knowledge that prepare young people for productive citizenship - but more than this, to give sanctuary to their dreams and aspirations for a future of hope, dignity and justice. It is indeed ironic, in the unfolding nightmare in Newtown, that only in the midst of such a shocking tragedy are teachers celebrated in ways that justly acknowledge - albeit briefly and inadequately - the vital role they play every day in both protecting and educating our children. What is repressed in these jarring historical moments is that teachers have been under vicious and sustained attack by right-wing conservatives, religious fundamentalists, and centrist democrats since the beginning of the 1980s. Depicted as the new "welfare queens," their labor and their care has been instrumentalized and infantilized;  they have been fired en masse under calls for austerity; they have seen rollbacks in their pensions, and have been derided because they teach in so-called "government schools." Public school teachers too readily and far too pervasively have been relegated to zones of humiliation and denigration. The importance of what teachers actually do, the crucial and highly differentiated nature of the work they perform and their value as guardians, role models and trustees only appears in the midst of such a tragic event. If the United States is to prevent its slide into a deeply violent and anti-democratic state, it will, among other things, be required fundamentally to rethink not merely the relationship between education and democracy, but also the very nature of teaching, the role of teachers as engaged citizens and public intellectuals and the relationship between teaching and social responsibility. This essay makes one small contribution to that effort. Right-wing fundamentalists and corporate ideologues are not just waging a war against the rights of unions, workers, students, women, the disabled, low-income groups and poor minorities, but also against those public spheres that provide a vocabulary for connecting values, desires, identities, social relations and institutions to the discourse of social responsibility, ethics, and democracy, if not thinking itself. Neoliberalism, or unbridled free-market fundamentalism, employs modes of governance, discipline and regulation that are totalizing in their insistence that all aspects of social life be determined, shaped and weighted through market-driven measures. Neoliberalism is not merely an economic doctrine that prioritizes buying and selling, makes the supermarket and mall the temples of public life and defines the obligations of citizenship in strictly consumerist terms. It is also a mode of pedagogy and set of social arrangements that uses education to win consent, produce consumer-based notions of agency and militarize reason in the service of war, profits, power and violence while simultaneously instrumentalizing all forms of knowledge. Hoy es un dia muy importante, today is an important day, 12/12/12, there will not be another one in our lifetimes, we must give ourselves a moment in our lives to stop our ordinary activity and feel, see, touch, taste, smell, be with the Earth, the Mother of Us All, y darle Grácias. This is the day that tells us that it is time to be the way we want to be, without reservation, unconditionally, to realize ourselves con firmeza, con coraje, con Amor, to remember who we are, as mujeres, as guerreras, as voces, as thinking hearts. Today is a llamamiento to our very innermost beings to stand up and be counted on behalf of the Earth, on behalf of all of Life, on behalf of toda la naturaleza, todos los seres inocentes que comparten esta planeta con nosotras. De nosotras dependen, quién sino nosotras? Humans are not the only peoples on this Earth. Si va a ver Justicia, que sea para todos los seres que vivimos en la Tierra. Interestingly, the U.N. designated April 22 as International Mother Earth Day (I knew it was called Earth Day, I just learned it is officially Mother Earth Day). Día 12 is the Mexican Mother Earth Day. Perhaps not all peregrinos, devotos, would see it this way—for many of them, la Virgen de Guadalupe es, en términos estrictamente Católicos, la Madre de Diós, la Madre de Jesucristo, la interlocutora mas alta que hay para llegar a Diós. Mis respetos a todos ellos. But for those of us who have been reflecting on her being, thinking about our (dis)connections to Catholicism, thinking about Chicana/indigenous spiritualities, envisioning “transnational feminist spiritual communities,” coming to terms with the idea of Spirit in our lives, we know that La Virgen is much more than how she is defined by the Catholic Church. We know her differently. 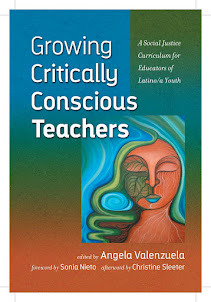 As our beloved Gloria Anzaldua said, “I’ve always been aware that there is a greater power than the conscious I. That power is my inner self, the entity that is the sum total of all my reincarnations, the godwoman in me I call Antigua, mi Diosa, the divine within, Coatlicue-Cihuacoatl-Tlazolteotl-Tonantzin-Coatlalopeuh-Guadalupe—they are one.” This is immense knowledge. La Virgen se manifiesta como imagen Católica, some say she was an invention of the missionization campaign, a tool of the imperial project, pero de todas maneras, we have triumphantly (re)indigenized her, claimed her as our own, and she has become an activist on behalf of the people, for so many who know her this way. If she was an invention of missionization, the invention traicionó al proyecto colonial, because the foundational elements of her being are here, in this hemisphere, in the Land. She is the Land. She is the Earth. Punto. Today is 12/12/12, but we should see the date as a marker of the momentum of transformation that is happening all around us. The latter part of the month, some say 12/21/12, will mark the entrance, completed, of the next age, the New Sun. My colleague Victor Montjeo, Jakaltek Maya, from Guatemala, tells us that this is a time of world renewal, not world destruction. In the Conchero Dance tradition, I was told that we are moving from Nahui Ollin, 5 Movement, the age we have been in since before the invaders arrived, to the New Sun, Nahui Coatl, 5 Serpent, and that this New Sun will manifest more predominantly as female, and her symbol will be the Venado, the Deer. For at least two decades, the elders of this dance tradition have indicated that the New Sun has been arriving, coming in behind the present one, dancing. I remember dancing at the Basilica de la Virgen de Guadalupe in Mexico City, one December 12th, and suddenly as I was dancing, I felt the earth move beneath my feet, gently, almost unnoticeably, but it was certain, the Earth Mother was dancing with us, happy that we were dancing for her. She is so alive, she sings, she dances, she witnesses, she grieves, she disrupts, she balances, she suffers, she loves. During this time (during all of our time on this earth in this life), we should walk, as the Yoeme say of saila maaso, the little brother deer, leaving flowers wherever we step. Tenderly, gracefully, attentively, with abundant awareness of our surroundings, not only our academic or work surroundings, that, too, but our homes, our yards, our jardines (if we are lucky enough to have them), the spaces where we choose to spend time. Spend time, such a Western concept. Even time is cast in monetary, acquisitive terms. Spend time. Take time. Waste time. Don’t waste time. The spaces, circles, spheres where we love to be. We know we are always in Nepantla (grácias a los antiguos Nahuas por este concepto). Somos Nepantleras (grácias a Gloria por la contemporización del concepto). As Nepantleras, in this time of great transformation, change, shape-shifting, we are ready for whatever comes our way. We must keep our senses, have our wits about us, trust our intuition, and constantly fine-tune it, remember humility, and know deeply that our Spirits are present, always. My Spirit guides me, my Spirit has the answers, my Spirit protects me. This I must remember. This we must remember. And my Spirit helps me see the signs of this new time that has come. Our spirits are ready. This time is our time. Inés Hernández-Ávila is a Professor and Chair of the Department of Native American Studies at UC-Davis. She is MALCS member and a member of the Mujeres Talk Editorial Collective. The term “thinking heart” is from Kathryn Shanley, Nakota scholar of Native American Studies. Theresa Delgadillo, Spiritual Mestizaje: Religion, Gender, Race, and Nation in Contemporary Chicana Narrative, p. 94. Gloria Anzaldúa, Borderlands/La Frontera: The New Mestiza, p. 50. Not sure of the date for this piece but it provides a pretty comprehensive look at "amnesty" or "regularization" of undocumented status in Europe. Good to consider as we contemplate comprehensive immigration reform. They insist that the proposed series of steps an immigrant likely would have to take to achieve legal status, such as paying a fine and learning English, do not amount to amnesty, which generally is defined as a pardon for a crime. In the United States, "amnesty" is an emotionally charged term that dominates a polarized debate over whether the federal government should offer legal status for millions of undocumented immigrants already in the country. In Spain and other European nations, the more common words for migrant amnesty programs is "regularization" or "normalization," a policy concept that has been routinely implemented since the 1970s. But the idea lately has been inflaming European passions and influencing politics in a way similar to the public outcry that defeated the U.S. Congress' last serious attempt to pass comprehensive immigration reform in 2007. The European Union has found that finding a true solution is complicated. One member state's amnesty can cause friction with officials in neighboring states who argue that such generous programs only attract more illegal immigrants and perpetuate the region's overall problem - echoing complaints commonly heard from stateside amnesty foes. Since the mid-1980s, Spain alone has legalized nearly 1.2 million illegal immigrants, according to the International Organization for Migration, an intergovernmental organization headquartered in Geneva and funded by 127 countries to track global migration trends. The largest was in 2005, when the Spanish government granted work permits to nearly 700,000 illegal immigrants. The work permits must be renewed and do not allow immigrants to remain as permanent residents. The programs were mostly aimed at moving illegal immigrants out of Spain's large underground cash economy to generate more taxes. To qualify, immigrants had to show they were employed and that their employer was paying social security taxes. As long as the workers have work permits, they pay into the system. Since the last large-scale legalization in 2005, the number of illegal immigrants in Spain has plummeted from 1.3 million to 200,000 in 2009, according to estimates by Spain's Institute for Advanced Social Studies, a government-funded research organization in charge of running the Migration Observatory in Andaluc�a, in southern Spain. Meanwhile, the number of foreign workers registered in Spain's social security system jumped from about 800,000 at the end of 2004 to more than 1.4 million after the regularization in 2005, according to a report by the International Center for Migration Policy Development, an intergovernmental organization in Austria. The regularization program in 2005 generated roughly $123 million in additional income tax revenues and another $123 million in additional social security revenues, the report said. But the idea of granting "amnesty" to illegal immigrants remains controversial, with opposition intensifying since the worldwide economy tumbled. As in the U.S., many European critics consider regularization an incentive or reward that only serves to attract more waves of illegal border crossers - which they say is the reason that countries such as Spain and Italy have had to return time after time to mass legalizations. And the European Union's increasingly heated immigration politics have strained relations between member nations sympathetic to amnesty and neighboring states that oppose the practice. "Some countries are relatively adamant against it while some have done it multiple times," said David Haines, a professor of anthropology at George Mason University in Virginia and an expert in migration and refugee issues. "The experience tends to be that the amnesties get bigger over time, so they don't resolve the issue of having irregular immigrants. The argument is they're here anyway, and they should be legal in at least some ways." In the U.S., the word "amnesty" draws such a heated response, particularly from conservatives, that advocates of comprehensive immigration reform are loathe to use it. They insist that the proposed series of steps an immigrant likely would have to take to achieve legal status, such as paying a fine and learning English, do not amount to amnesty, which generally is defined as a pardon for a crime. Amnesty is not exclusively a European Union or U.S. concept, but the issue comes up most often in the U.S. and European nations because they are among the biggest destination points for illegal immigrants. However, other countries that attract illegal immigrants, such as Brazil, also consider amnesty. Brazil has granted it multiple times, most recently in 2009. "Malaysia, for example, has a lot of undocumented workers, and they periodically have amnesties, too," Haines said. "But their notion of an amnesty is that we will no longer hold you criminally liable for being here, but you're still going to have to go home. So amnesty can mean different things." Advocates of European-style amnesty maintain that the pros outweigh the cons. Ignoring a migrant population living outside the system inevitably leads to humanitarian concerns and long-term social problems such as poverty and crime. Even if illegal workers keep coming, advocates argue that it is better to periodically lift them out of the black market and onto the tax rolls. Doing so provides a more accurate look at the labor situation and helps a government take account of who is living within its borders, they say. European nations have experimented with amnesty for years. Eligibility criteria and other key details vary widely, but between 1996 and 2007 European states legalized the status of more than 5 million migrants, either through amnesty programs or bureaucratic mechanisms, according to a forthcoming report from the Washington, D.C.-based Migration Policy Institute. Southern European countries have instituted most of the large-scale amnesty programs for illegal immigrants. With 25 amnesty programs among them since 1982, Italy, Spain, Greece and Portugal have led the way. Italy, Spain and Greece generated 84 percent of EU regularization applicants between 1997 and 2007, according to the MPI report. Because of their proximity to Africa, a source of many migrants, Southern European governments have had to manage immigration flows for years. One reason for the repeated use of amnesty is that Spain and Italy do not have the administrative capacity to regularly admit large numbers of migrants legally and therefore wind up with larger numbers of illegal immigrants, said Willem Maas, the Jean Monnet chair in European integration at York University in Toronto, who has studied and written about European amnesty programs. The administration of regularization programs doesn't always run smoothly. There have been complaints about bureaucratic delays and paperwork problems. Migrants sometimes have difficulty producing proof of residency for the necessary period of time, which can vary, and proof of employment, a frequent requirement. In some instances, only temporary legal status is granted - not citizenship, which is a goal of many pro-immigrant advocates in the United States. "Most amnesties/regularizations in Europe simply register the migrants, allowing them to live and work legally, but often fail to provide paths to permanent residence or citizenship," Maas said. "This often has the effect in practice that migrants join the regular workforce when they are legal and slip back into the underground economy once their status expires." Political resistance to regularization is stiffest in northern Europe, where amnesty generally has been granted on smaller scales and targeted more precisely to specific groups, such as long-term asylum seekers who have no real prospects of returning to their home countries rather than migrants attracted by economic opportunities. Spain's 2005 amnesty sparked a backlash inside the European Union. "That really caused problems for a number of neighboring countries, particularly France, who felt that that legalization would have a spillover effect on their own country," said Elizabeth Collett, a Brussels-based European policy fellow for the Migration Policy Institute. "Namely, that those legalized under the program would then decide to move to France, to Italy, to other countries, to then find alternative work. It's been difficult to find strong evidence either way. I'm personally skeptical, because if you have a good job and someone has just given you legal status, why would you up sticks and move to France and start the whole process again?" Regardless, the Spanish amnesty helped thrust immigration to the forefront of the EU agenda. A 2008 EU immigration pact attempted to get member nations to agree not to hold any more mass regularizations. Members agreed only to avoid large-scale amnesties. The pact's effectiveness is in doubt; both Italy and Belgium in 2009 proceeded with significant regularizations in spite of it. The wide-ranging Treaty of Lisbon, ratified in 2009 to reform EU government, calls for a common EU immigration policy covering areas such as the treatment of foreign nationals and stopping illegal immigration and human trafficking, but explicitly says member states retain the right to determine immigration volumes in their own country, limiting the EU's influence on migration issues. In Britain, politicians still occasionally talk about amnesty, even if the policy tool appears to be politically out-of-vogue at the moment. "In the last election, every politician reported that immigration was almost the No. 1 issue on the doorstep," said Matthew Pollard, executive director of MigrationWatch U.K., an anti-immigration organization in London. "So even if politicians would like to give an amnesty for various reasons, it probably would not go down too well with the public. I don't think it's likely to happen." The United States last undertook a major amnesty program for illegal immigrants 24 years ago. The law, known as the Simpson-Mazzoli Act, extended amnesty to undocumented migrants who could demonstrate that they had been in the country prior to Jan. 1, 1982. Nearly 3 million took advantage of the legislation, which was signed by President Ronald Reagan on Nov. 6, 1986. Public dissatisfaction with it has helped give amnesty a bad name in the U.S. and continues to hamper attempts to reform immigration laws. Criticisms stem from the lack of enforcement of the 1986 law's employer-sanctions provisions and its failure to anticipate the demand for low-skilled workers when the U.S. economy boomed in the 1990s and 2000s. With no legal avenue for entry for foreign labor, waves of new immigrants came illegally to fill jobs. As a result, many Americans concluded that amnesty did nothing to stop the flow of illegal immigrants and may have even exacerbated the situation by attracting more illegal immigrants. "It was presented as somehow resolving this problem, and it was certainly clear in the data within a couple of years that it wasn't having that effect at all," said David Haines, an anthropology professor at George Mason University in Virginia. "Those people who had been legalized simply moved into better jobs, and that created a draw for other people to come to move into those jobs. It was all about employer sanctions, which were never done." Scorched earth…this cruel, yet effective practice, is as ancient as war itself; first occurring in ancient Persia and later during the Gallic Wars. America itself employed it against the Native Americans. This type of destruction is an effort of last resort, where anything and everything is destroyed to make it unusable for the enemy; including food, transportation, communication and other resources that are necessary for everyday life. If there is nothing left for the conqueror, he can’t survive. "The Republican majority has made it their priority to underfund public and higher education, make it as hard as possible for certain populations to make their voices heard at the polls, and strip away healthcare benefits from needy families. In many cases, the only reason this state's safety net programs are not more draconian are federal mandates preventing lawmakers from defunding programs even further. To illustrate, when Texan lawmakers say they want more "flexibility" in Medicaid, what they are really saying is that they want the flexibility to push more people off." Why would the Texas GOP do this? A single reason: Fear. Their hold on power in Texas is tenuous and diminishing with each election cycle. Most recently, Democrats held their ground in the state Senate and garnered seven seats in the House. And then there’s that uncontrollable, pesky little change in the Texas demographic. The only thing that’s prevented Texas from becoming a blue state more rapidly is that the electorate isn’t old enough to vote…yet. It’s only a matter of time; their days are numbered. The Texas GOP knows this. If you have any doubt about it, read this article in the New Yorker. It proves that Texas GOP Chairman, Steve Munisteri, is in full elephant-panic-mode, despite his Texas Hold ‘Em demeanor. The only hope they have to stave off the change is to "starve the beast", a deliberate attack, a scorched earth policy, inflicted upon the social programs which allow for social and economic mobility, the hallmark of the those who aspire to a better life. Nowhere is this more evident than the attempts of the Texas Tea Party to strangle public education. Someone in Austin must have remembered the words of John Henrik Clarke, distinguished academician of Hunter and Cornell. The Texas GOP is cutting off their own nose to spite their face, however you view it. They’ve built an entire political party on incessant hostility and anger. They forget; those who splash poison around can’t help but get some on themselves. The Texas GOP is threatening to implode upon itself with interparty skirmishes, the Moderates against the more uneducated, vocal and primitive voices that resound behind the Pine Curtain of East Texas. I realized that I had not posted this so here goes. Also, here is one of the more thorough analyses of the Latino vote that I've come across. WASHINGTON -- President Barack Obama won reelection on Tuesday thanks in part to near-record levels of support from Latino voters, who came out in huge numbers to support him over GOP presidential nominee Mitt Romney. An impreMedia-Latino Decisions poll released Tuesday as an alternative to exit polls found Obama had won 75 percent of Latino voters nationwide, while exit polls found him with around 70 percent Latino support, with figures likely to change throughout the night as tallies come in from the West Coast. Either way, the margins are likely bigger than ever before, and bad news for the GOP. "Republicans are going to have to have a real serious conversation with themselves," said Eliseo Medina, an immigration reform advocate and secretary-treasurer of the Service Employees International Union. "They need to repair their relationship with our community. ... They can wave goodbye to us if they don't get right with Latinos." The country is becoming more diverse in general, with a growing Latino population and an even faster-growing Asian population. Those demographic changes will spell trouble for the Republican Party if it remains on in its current trajectory, among Latino voters in particular. Immigration isn't the top issue for most -- jobs and the economy rank higher -- but it remains an important one, and for many Latino voters it's something of a litmus test. If a politician seems to disrespect immigrants or Latinos overall, or if the party seems uninterested in winning their votes, the support isn't going to come. This year, it didn't. Polling shows that Latino voters not only felt they aligned better with Obama on many issues, including jobs and the economy, they also felt the Democratic Party seemed to actually care about getting their votes. Republicans touted their unprecedented efforts in 2012 to win the Latino vote, from wider get out the vote efforts to more Spanish-language advertising. Romney's son Craig, a fluent Spanish-speaker from his time as a missionary in Chile, appeared on his behalf before Latino audiences, as did Sen. Marco Rubio (R-Fla.) and a handful of other Latino Republicans. Those unprecedented efforts didn't seem to pay off. Exit polls place Romney at winning 29 percent of the Latino vote, which is lower than Republican candidates received in 2008, 2004, and 2000. The lowest percentage of Latino voters won by a Republican was in 1996, when Bob Dole garnered only 21 percent of Latinos to former President Bill Clinton's record 72 percent. Latino vote pollsters believe exit polls are even overestimating Romney's share this year. ImpreMedia and Latino Decisions' "election eve" poll was conducted in the final days of the race with Latinos who had either already voted or were certain they would. They found that only 23 percent of Latino voters supported Romney. A look at the states shows particularly how far slanted Latinos are toward Democrats. Romney won in Arizona, one of the most Latino-heavy states in the nation. But it was despite major opposition from Latino voters, who will almost certainly be an even larger share of the population there in 2016. According to exit polls, 77 percent of Latino voters supported the president; the impreMedia-Latino Decisions put that support at 79 percent. Obama's win in Colorado, a key swing state, can be attributed in part to Latino voters, who make up about 20 percent of its population. The "election eve" poll found that 87 percent of Latino voters planned to vote for Obama. Election polls put that figure lower, at 74 percent. Either way, the margins were enough to help pull the state to the left for the president to eke out a victory. In every state polled by impreMedia and Latino Decisions, immigration was a major factor in the decision-making process. Most Latino voters support the president's policies on the issue, even if he has not succeeded in enacting many of them. The Dream Act, a bill to help undocumented young people, has support from a strong majority of Latino voters, and many said they became more enthusiastic about the president after his June announcement he would no longer deport some young undocumented immigrants who fit the same general requirements. The impreMedia and Latino Decisions poll shows a pretty clear indicator of why many of those supporters may care strongly about immigration reform: 60 percent of those polled said they knew an undocumented immigrant. Romney, on the other hand, took a hardline stance on immigration in the GOP primary and was never quite able to shake it as he moved into the general election. His calls for "self-deportation" -- making life difficult for undocumented immigrants until they left -- and for vetoing the Dream Act drew ire from immigration activists and Latino groups in general. His party had enacted a string of anti-undocumented immigrant legislation in Arizona, South Carolina, Georgia, Indiana and Alabama, and had helped in the Senate to defeat the Dream Act in 2010. There are plenty of people on the GOP side who have urged a softer tone on immigration, but it didn't seem to sink in with the Romney campaign until after the primary. In the final months of the campaign, he pitched his desire to find a solution for undocumented young people already in the country and advocated a broad fix for immigration problems. Too little, too late, said Lawrence Benito, CEO of the Illinois Coalition for Immigrant and Refugee Rights, which organized Latinos and other immigrants to vote for the president this year. "Romney during the primaries put himself into a corner," he said. "He went to the right of everyone in the Republican field, even respected conservatives, and the Latino and the immigrant community was not fooled."